The Property and Evidence Unit is responsible for holding all evidence, safekeeping property, and found property for both the Ada County Sheriff’s Office and Boise City Police. Property being held as evidence can only be released by an officer, prosecutor or judge. Property release by appointment only. Call 577-3050 to set up a time. Our auction company is: Corbett Auctions & Appraisals Inc. The site can be accessed 24/7 with new auctions starting daily. Corbett Auctions will also have live auctions in the Treasure Valley later this year. We’ll provide those details when we get them. Safekeeping property is an item that is being held for the owner by an officer. This may be property that was in your possession when you were arrested or items left behind at an accident scene. The Property and Evidence Unit will hold these items for a period of time until the owner can claim them. I think you have my property; can I get it back? We are able to return property, once we can positively identify the owner. Items being held for found/safekeeping will be stored under your name. You must show a picture ID to claim the property. How long do you hold a found item? All items are held for 6 months. If an owner cannot be identified, the property is sold at auction. The only exception to this policy is found bicycles. 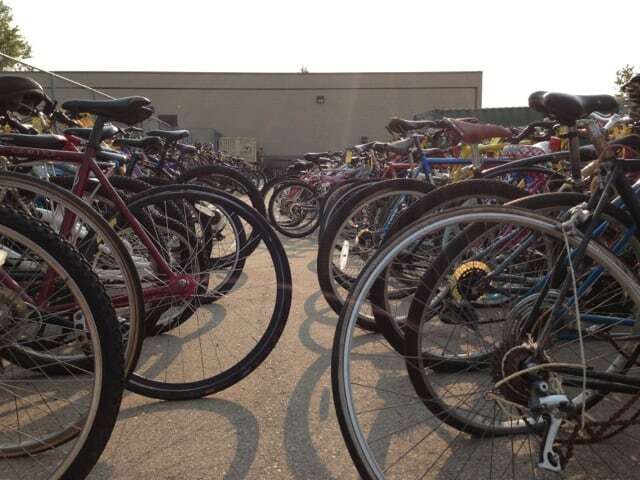 Bicycles are only kept for 90 days before they are auctioned. Property release by appointment only. Call 577-3050to set up a time. Check in at the Records/Information window in the front lobby of the Public Safety Building at 7200 Barrister Drive, and you will be directed to the proper location. Is property being used as evidence ever returned to the owner? All property being used as evidence by the ACSO or Boise Police must be released by an officer, detective, prosecutor or judge before we can return it to the owners. All evidence is stored in a safe place until it is no longer needed in a case. If you have questions about your property being held as evidence, contact the detective or officer involved with your case. Do you have other questions? Contact Property and Evidence at (208) 577-3050.